So let’s start with sashimi- a Japanese delicacy consisting of very fresh raw meat or fish sliced into thin pieces. The artfulness of the slicing is key here- this dish is specifically designed to highlight the freshness and perfection of the fish. Sashami is also traditionally served with soy sauce and a dash of wasabi paste on top of an Asian radish garnish. Pesce crudo, on the other hand, is ALL about the pairings! Although the fish is sliced similarly to sashimi, crudo is often complemented by a flavorful oil and a touch of acid to balance out the silkiness of the fish. 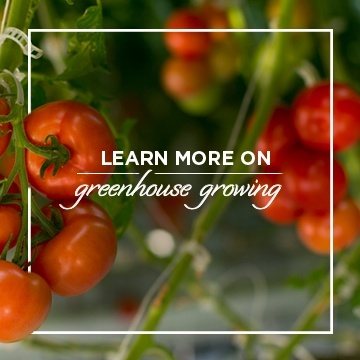 The quality of the ingredients is paramount- the fresher the better! For that reason, the options for this dish are endless- switch out the lemon zest for a grapefruit, or experiment with various nut and truffle oils to see how the flavor profile evolves! In the end, what really brings these two dishes together (and their respective cultures) is the reliance on ultra-fresh seafood and a dedication to flavor (something we happen to have in common!) 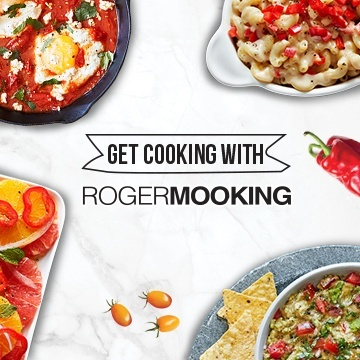 You really can’t go wrong with either, but I have to admit… The presentation of Roger Mooking’s latest creation is pretty flawless. If you’re looking to impress your guests with your seafood chops, this is the way to do it. 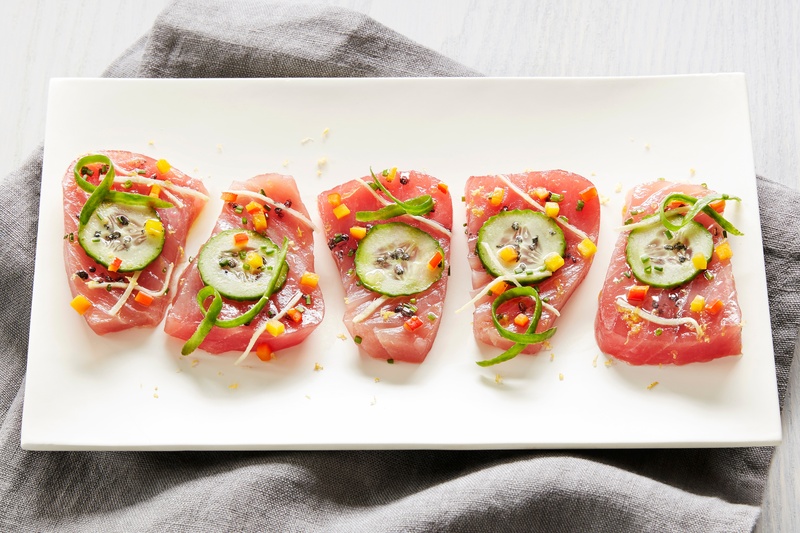 Transform your backyard into fine dining with this super simple but oh so elegant tuna crudo appetizer. Slice tuna into 1” thick pieces that are roughly a 2” x 2” square. Place on a chilled plate, side by side and rub each piece with a little bit of olive oil. Place cucumber slice on top of oiled tuna. Top with a few slivers of ginger and sprinkle diced peppers and chopped chives on top. Finish with black salt, a cucumber thread, and freshly microplaned lemon zest. Tip: Make sure to use a super-sharp knife for this recipe to ensure you don’t ruin your tuna!